In the wake of a devastating chemical spill in West Virginia and decades of damaged water from mountaintop removal mining and other coal industry abuses, citizens have won a huge victory for our water and our future. A federal appeals court stated that the U.S. Environmental Protection Agency and the U.S. Army Corps of Engineers are authorized to do their jobs and protect Appalachian communities from mountaintop removal. This decision gives EPA the opening they need to create a federal rule that supersedes the corruption of state politicians and that has enough teeth to make a real difference in Appalachian communities. It’s time to seal the deal. 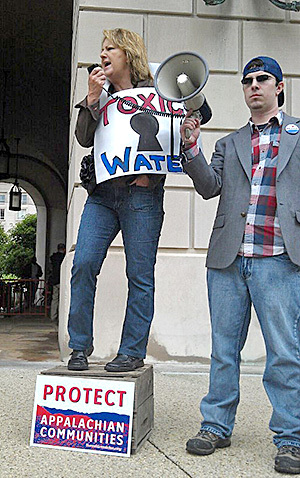 Tell EPA to protect our water and our future!